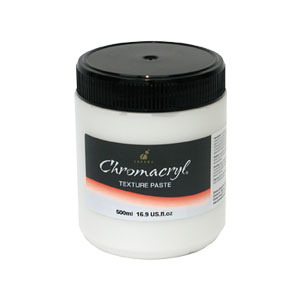 Chromacryl Texture Paste is a brushable, translucent modeling compound ideal for multiple texturing methods with acrylic paint. Dries to a clear finish and will not become brittle or discolour with age. Chromacryl Texture Paste cleans up with cold, soapy water.